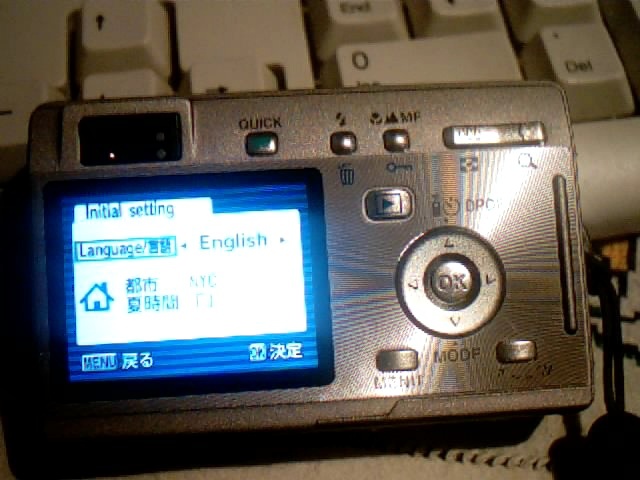 Can you please tell me where I can find "fwdc110p.bin" to flash my Optio S? I just started having the A90 error come up last week while on vacation. That was NOT COOL considering I was atop the CN tower in Toronto and I could see 50 miles in every direction - but couldn't capture it! I answered my own question. I have the file, however, holding menu+power asks me update. I say yes, and after 5 seconds I get an error. Now what? ALLELUYIAH ! PROBLEM SOLVED !!! Simultaneously press MENU + Flash symbol button+ Power ON...a white screen with data written in black should show. Then a sequence of buttons must be pressed: 2 times the focus button (flower, mountain, MF symbols button) followed by 2togglesto the Right of the "OK" button...then press MENU once and voilÃ*...ze Secret Menuappears ! D- Load the firm ware by opening your camera with the MENU+Power ON procedure...finallythis should be posting "Complete" after the "Loading" message, instead of the "Error!" that we initially kept on having. Your camera should be working perfectly ! Only thing, is that you will have to redo your personal settings on it from scratch...but hey, this is much better than to wait for months to get your camera back from Pentax and save that money for your next photogenic trip! i have the Optio S5i. so the problem is that i cannot enter the infamous "Secret Menu". I did it as you have written! IT WORKS!! Pentax wanted 160 â‚¬ for it. PhÃ©lin, can you pls help me ?????? I cannot enter the secret menu on my Optio S5i !!! I do not see any white screen. i was just pressing POWER ON. Don't own a S5i...thought that the "secret menu" sequencewas the same throughout the hole Optio S line...it is obviously not ! My internet source for this only mentioned this one, it didn't specify the model, although the problem topic was on an Optio S.
Try using other buttons to make adifferent sequence...you might accidently find it this way ! At least you now know what you should be looking for ! sequences of buttons, and nothing. I am still working on this.